We weren’t able to find much information on this secret door, but we like the style. This billiard rack organizes pool cues and triangles for the game room. 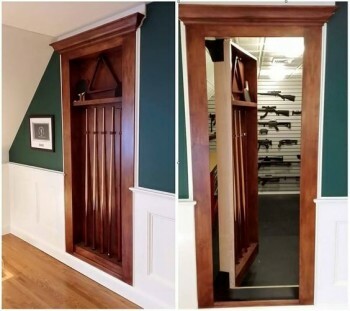 But it opens up to become a passage to a secret gun storage room. One less common feature of this secret door is the face it doesn’t reach all the way to the floor. 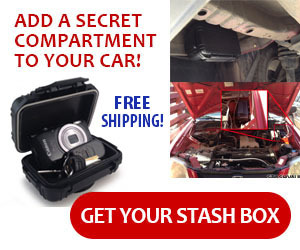 It gives the impression that it is just a built in feature, and not a door. There downside is it leaves a threshold that you have to step over to get into the secret room.